Krita is a bitmap imaging suite included as an integrated part of Koffice. 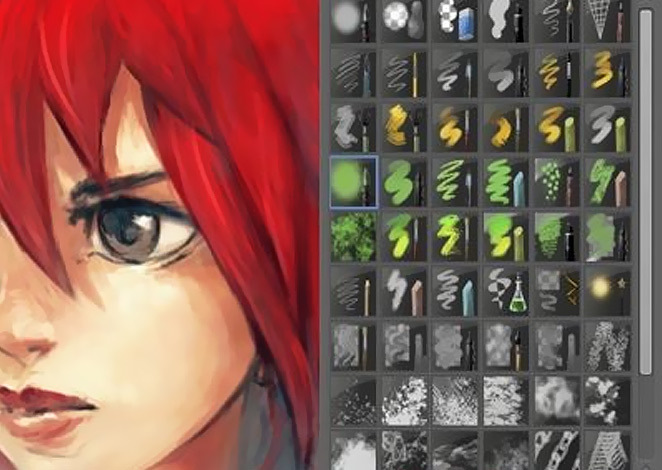 It can be used for a range of image creation ranging from natural media painting, sketching and photo editing. It supports many image formats, colour modes and profiles. 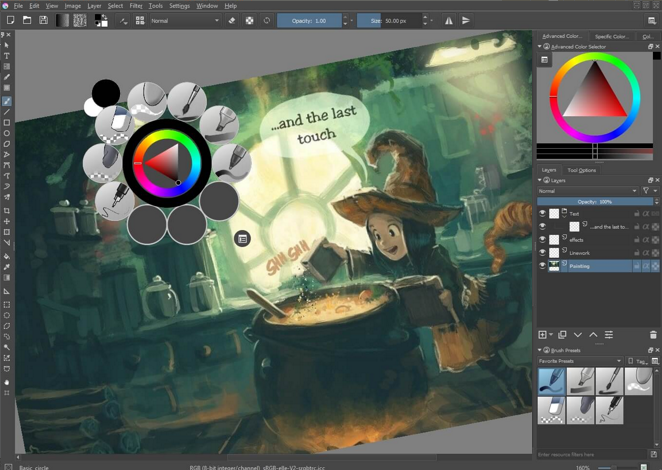 With a full feature-set, configurable gui and a strong focus on plain productivity, Krita is at home on every artist's desktop. 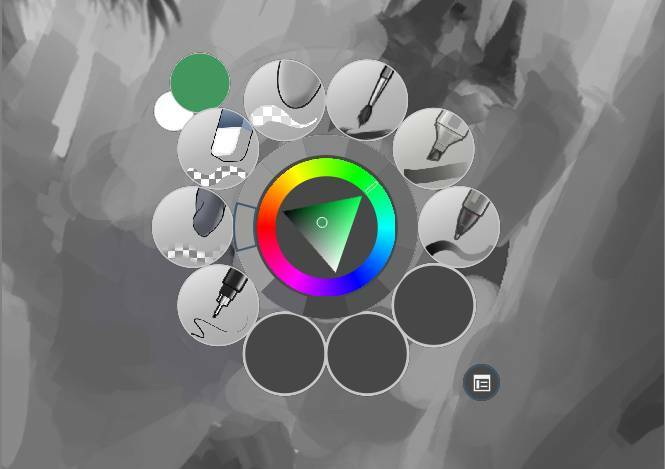 Krita has relied on Qt's graphics tablet support since Krita 2.0. We consciously dropped our own X11-level code in favour of the cross-platform API that Qt offered. And apart from the lack of support for non-Wacom tablets, this was mostly enough on X11. On Windows, the story was different, and we were confronted by problems with offsets, bad performance, no support for tablets with built-in digitizers like the Lenovo Helix. So, with leaden shoes, we decided to dive in, and do our own tablet support. This was mostly done by Dmitry Kazakov during a week-long visit to Deventer, sponsored by the Krita Foundation. We now have our own code on X11 and Windows, though still based on Qt's example. Drawing is much, much smoother because we can process much more information and issues with offsets are gone. Tight integration with the rest of the Koffice suite. Using warez version, crack, warez passwords, patches, serial numbers, registration codes, key generator, pirate key, keymaker or keygen for Krita 4.1.7 license key is illegal and prevent future development of Krita 4.1.7. Download links are directly from our mirrors or publisher's website, Krita 4.1.7 torrent files or shared files from free file sharing and free upload services, including Rapidshare, HellShare, HotFile, FileServe, MegaUpload, YouSendIt, SendSpace, DepositFiles, Letitbit, MailBigFile, DropSend, MediaMax, LeapFile, zUpload, MyOtherDrive, DivShare or MediaFire, are not allowed! Your computer will be at risk getting infected with spyware, adware, viruses, worms, trojan horses, dialers, etc while you are searching and browsing these illegal sites which distribute a so called keygen, key generator, pirate key, serial number, warez full version or crack for Krita 4.1.7 download. These infections might corrupt your computer installation or breach your privacy. A keygen or key generator might contain a trojan horse opening a backdoor on your computer. Hackers can use this backdoor to take control of your computer, copy data from your computer or to use your computer to distribute viruses and spam to other people.